These Chakra studs by Daisy are the perfect combination of spirituality and sophistication. 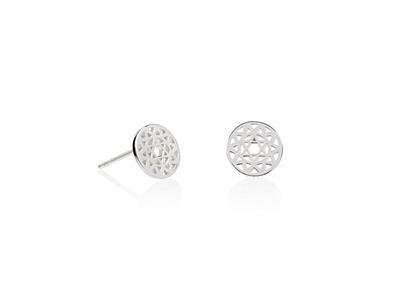 Made from Sterling Silver, these studs feature minimalist filigree chakra designs. In yogic traditions, chakras are the physical manifestation of spiritual energies. Well-balanced chakras ensure a healthy and happy life. These studs feature the Sacral Chakra, which promotes self-control, empathy and benevolence.